If you’re in search of a modern accent piece, Kailey Hawthorn might be your gal. She has workspaces in both Cambridge and Windsor, Ontario. Vintage fabric mingles with new fabric and pillow covers are born. She paints mod flowery drawings onto records and turns them into clocks. 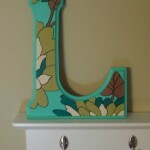 Similar patterns end up on wooden letter blocks for a bold pop of color that would look great on a wall or mantle. She is also available for custom orders. Succulents = success! Everywhere you look in the craft world these days, there they are! 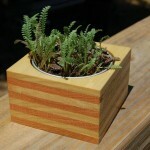 Erde Designs of Cary, NC make a terrific and affordable product to house your plant babies! 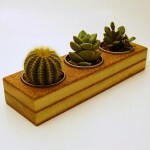 I think that one of these stocked with a succulent would make a super gift to snazz up someone’s drab day job desk…or your own! Kelly of Tresijas, of Fresno, CA is a mother to three wee ones and yet still has the time to turn recycled materials like wood from burn piles and scratched up records into unique and beautiful jewelry. To boot, she is raising those kids to be creative themselves, so she her two daughters their own Etsy shop: http://treslocas.etsy.com . 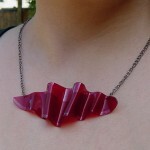 My favorite items from Mom are these recycled LP necklaces which stole a little piece of my heart when I saw them. 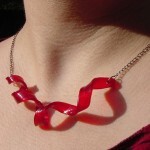 I have seen a number of different sellers who make jewelry out of vinyl, but never have I seen them turn out so artistically. 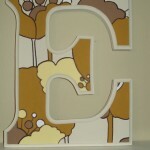 If you like a particular designs, but want it in a different color, she will do custom work and she is ever so nice.